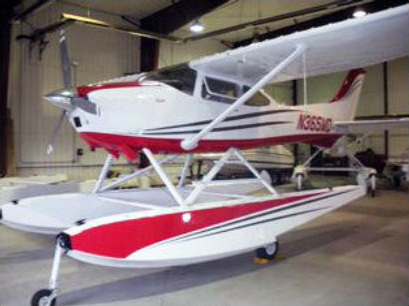 Northwoods Aircraft Painting is a modern facility, incorporating the Dupont Aviation Imron painting process. The facility has two hangars; one is used for our aircraft painting, and the other is used for aircraft preparation. We can accommodate a number of planes at one time, decreasing your down time.